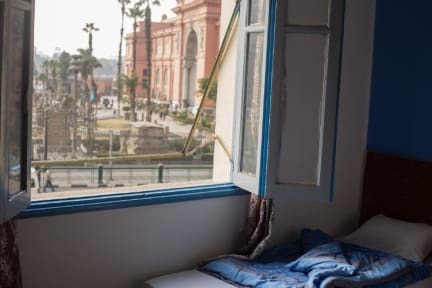 Museum House Hostel i Kairo, Egypten : Boka nu! The hotel Museum House Hostel offers comfortable accommodation for long or short term stay for work or study. WiFi is provided with no additional charge, and laundry and kitchen facilities are provided surcharges . No curfew, the hotel door close at 12 midnight but you can knock it anytime.